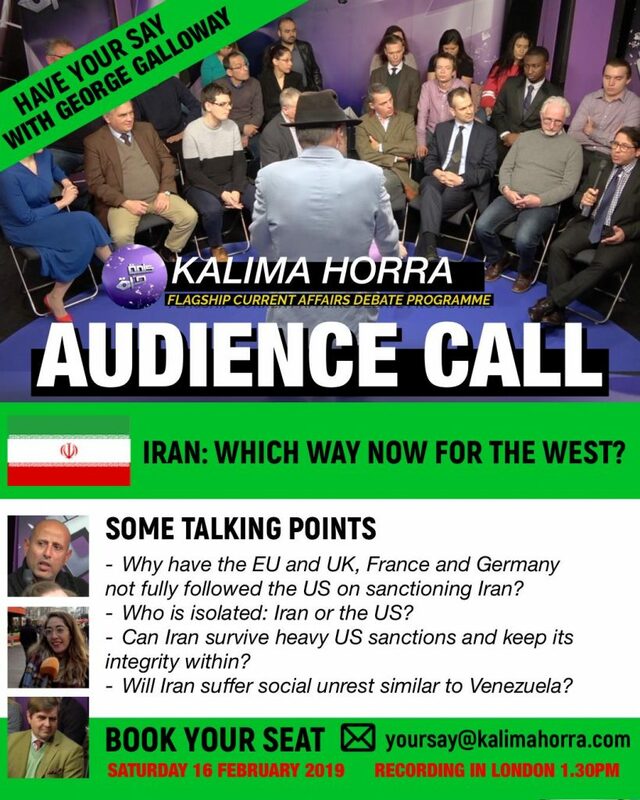 The topic: Iran; Which Way Now for the West after the failed Warsaw Summit? Why have the EU and UK, France and Germany not fully followed the US on sanctioning Iran? Who is isolated: Iran or the US? Can Iran survive heavy US sanctions and keep its integrity within? Will Iran suffer social unrest similar to Venezuela?